Car Battery Life Expectancy - How Long Before Replacement? Car Battery Life Expectancy – How Long Before Replacement? Determining your car battery life expectancy can be tricky as there are many factors that come into play. While some batteries may last you between three to five years other circumstances like your driving habits, weather and quality of the battery will come into play. Ultimately, according to Auto Fact’s website the safe bet is your car battery will last between three to five years, with some lasting as long as six and others dying after one year of use. The key to extending the life of your part is by learning how your battery works as well as how to treat it properly. One factor drivers may not consider is if they do frequent short trips it can reduce the car battery life expectancy. The reason for this is if you regularly drive under 20 minutes, your alternator does not have enough time to recharge your battery. While this is not a reason to change your driving habits if you fall into this category be mindful that you may have to do a car battery replacement more often. Along with your driving style, make sure your battery has an insulated jacket as it helps the part maintain its normal temperature, which will extend the life of the equipment. You will also want to make sure your part still has the insulated cover as this can also help keep the battery juiced longer. 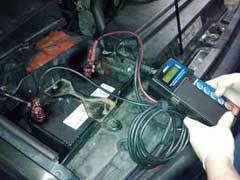 Another way to gain more car battery life expectancy is to buy top quality equipment. Some of the best car batteries from brands like Kirkland have superior performance, which yields excellent results and long-term durability. Further, by buying a top brand you can receive exceptional service and a great warranty. Therefore, if the part malfunctions for any reason you can return it and receive a replacement for free as long as the problem is under their guidelines. There are other parts on the market such as used car batteries. Though these are typically less expensive than say an Energizer car battery, it is best to stay away from them as they will offer you less car battery life expectancy. Ultimately, by selecting an excellent part, monitoring your driving conditions and making sure the battery has its proper insulation, you can increase the life of your part. This can help you get more for your money and save you peace of mind. KTM Dirt Bikes For Sale – Read This Before Buying!